An 89-year-old woman is dead after a complex intersection collision that raises some intricate legal issues. A Buick, which was eastbound on 21st Street, ran the stoplight at the 27th Street intersection. A Corolla, which was northbound on 27th Avenue, collided with the Buick’s passenger side in the intersection. A person in the Corolla died almost instantly. Two other people were seriously injured in the crash. If the tortfeasor (negligent driver) runs a red light or commits another traffic violation, like speeding, it is easier to prove negligence, or a lack of ordinary care. Essentially, Florida’s negligence per se doctrine cuts off the common insurance company defense that the violation was just a one-off lapse and not a violation of the duty of reasonable care. Cause in Fact: Lawyers usually refer to this element as “but-for” causation. In other words, the victim/plaintiff must prove that the crash would not have occurred “but for” the tortfeasor’s negligence. Proximate Cause: This legal term basically means foreseeability. Assume that a surgeon makes a medical mistake during the victim’s emergency care. But-for causation is present, since the victim would not have been in the hospital but for the tortfeasor’s negligence. But a medical mistake is not a foreseeable consequence of a car crash. 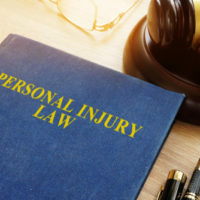 Damages: The victim/plaintiff is usually entitled to compensation for both economic losses, such as property damage, and noneconomic losses, such as pain and suffering. In most cases, there must be a physical impact. Near-misses are usually not actionable. The negligence infliction of emotional distress doctrine may provide relief to people who were injured in noncollision crashes. The most common example involves parents who personally witnessed a child’s injury. Intersection collisions often give rise to the last clear chance defense. A clip from Planes, Trains, and Automobiles illustrates this principle. Oncoming semi-trucks might have had a reasonable opportunity to avoid the collision with hapless holiday travellers Neal Page and Del Griffith. If so, the truck drivers, and not the wrong-way Del Griffith, would be legally responsible for damages. The same idea applies if the tortfeasor ran a stoplight. If the victim saw the tortfeasor coming and failed to avoid the crash, perhaps by changing lanes or braking, the victim is legally responsible for the crash. The last clear chance defense is also common in rear-end collisions, specifically the “swoop and squat” insurance fraud scam. One driver pulls out in front of another one and then suddenly brakes, to induce a rear-end collision. If the rear-ended driver tries to file an insurance claim, that claim will be denied, because of the last clear chance rule. Significantly, the victim must have the last clear chance, as opposed to any possible chance. So, in the PT&A clip, this defense would probably not have applied. The sky was dark, the road was wet, and the semi-trucks probably did not have a reasonable chance to avoid the crash. Intersection crash cases are quite complex. For a free consultation with an experienced personal injury attorney in Port St. Lucie, contact Eighmie Law Firm, P.A. We do not charge upfront legal fees in negligence cases.